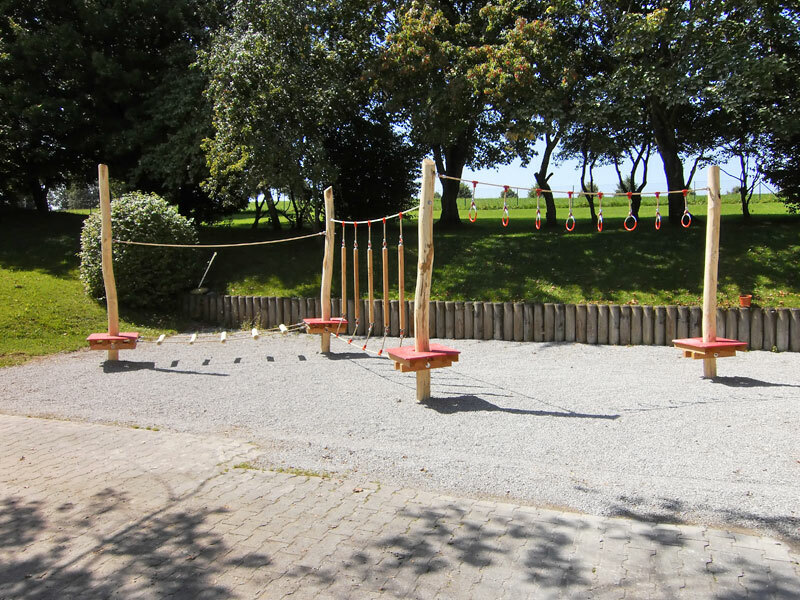 The Professional Academy for Kindergarten Teachers in Kempten possessed an unused gravel surface which they wanted to make available for new play equipment. The construction of a low rope element with very low height of drop meant fall protection requirements were met while not disturbing the existing environment. 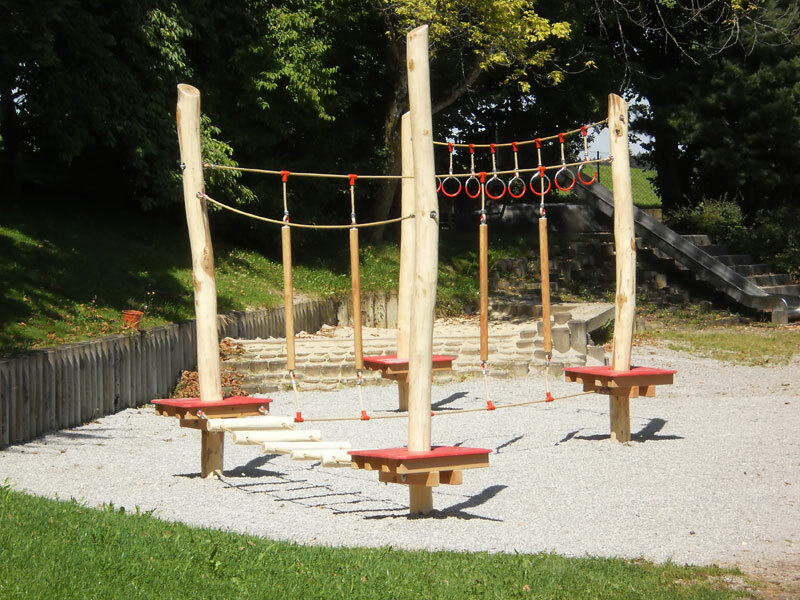 Three low rope elements were mounted between naturally-grown acacia posts offering diverse activities to several children at the same time.